Replies: 74 (Who? ), Viewed: 46140 times. As requested by Mootilda, I'm making a public thread about this. For those who don't know, Numenor's AnyGameStarter does not support Collection packs other than Deluxe, Double Deluxe and Holiday Edition 2005/2006. Using it with the University Life, Best of Business, or Fun with Pets Collections can cause problems, requiring you to reinstall unless certain registry files are fixed. It should be possible to get the AnyGameStarter working with the collections. As far as I can tell, the only real problem with collections is that the full game registry file doesn't contain everything which is needed to restore the full game to working order. Unfortunately, most people create the AnyGame and then run it immediately, which runs the full game registry file, destroys their registry and forces them to reinstall. Mootilda has been very kind and helpful in repairing others' games, but she deserves a break and repairing everyone's game individually would be daunting. This thread has been made in order to compile the information related to repairing the file(s) for AnyGameStarter and the TS2 Collections to work. - The ability to follow instructions. 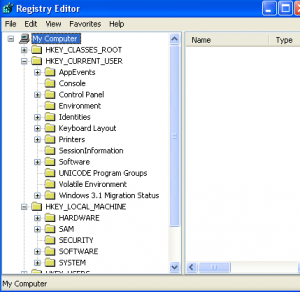 - Knowledge about how to create a system restore point and how to restore your system. - Knowledge about how to backup and restore a file or folder. WARNING: Do not run your AnyGame before you have either 1) created a system backup or 2) fixed the AppFiles folder. Preferably both. If you have already run an AnyGame and your full game is no longer working, and if you are unable to restore your system to working order, then this will not help you. We need to examine your registry before the AGS attempts to restore your full game. At this time, we do not know enough to tell you how to fix this problem. Hopefully, with everyone's help, we'll gather the information that we need. Note that this is a work in progress. I haven't explained how to fix the AGS yet. I'd like to see some people's registry data and AGS files first. Once I have a clear idea of what they look like, I'll make some suggestions on fixing them. Step 1: The first thing that I would suggest is to make a system restore point before running your AnyGame. Until you are sure that your AnyGame is working correctly and that your full game can be restored correctly, this will ensure that you won't have to uninstall and reinstall everything; you can just restore from that restore point. Step 2: If you have not yet installed an AnyGame, this would be a good time to do so. Just be sure NOT to run the AnyGame until we have fixed it. Step 3: Installing an AnyGame should not change the state of your computer. However, it never hurts to be sure. After installing the AnyGame; make sure that you can still run your full game. If you have any problems, restore from your system restore point and let me know. There may be a problem which is unrelated to your TS2 collection pack. Step 4: Since we will be modifying your AnyGame, backup your AnyGameStarter\AppFiles folder now. If you'd prefer, you should be able to just backup any file that you actually change, such as the AnyGameStarter\AppFiles\Sims2_Full.reg file. However, don't edit any files without a proper backup. Last edited by Mootilda : 28th Jul 2011 at 11:22 PM. Step 5: Understand your AnyGameStarter files. There should be only one or two AGS files which need to be modified to make everything work correctly: AnyGameStarter\AppFiles\Sims2_Full.reg and possibly AnyGameStarter\AppFiles\Sims2_AnyGame#.reg. The Sims2_AnyGame#.reg file contains the information necessary to run your AnyGame, there will be one copy per AnyGame. The Sims2_Full.reg file is supposed to contain the information necessary to restore your registry to the standard full game setup. Let's take a look at a simple Sims2_Full.reg. This file contains several sections. The Sims2_AnyGame#.reg file is very similar. 1) Right click on the file and select "Edit"
2) Click on the file and select "Edit" from the "File" menu. WARNING: Do not open the file by double clicking on it. The default is to actually install the registry file, which we don't want to do until we've fixed it. Each Sims2_Full.reg is going to be different, because it reflects the state of a specific user's machine. However, the general format will be the same. This tells the registry that the file is a valid registry file. Leave this as is. The first two lines specify the location in the registry that we're examining. Leave them as is. The final line lists your EPs and SPs, in a specific order, separated by commas; please note that I split the line so that it would fit on the screen, but it should always be only one line in the .REG file. You'll note that I have all EPs and SPs, except for the Sims 2 Store Edition. The extra comma between Sims2SP6.exe and Sims2EP7.exe will sometimes contain Sims2SE.exe, which is the store edition. The second section will probably need to be fixed for people with unsupported collections. But first, we'll have to compare this line with what's in your registry. You'll note that each of my EPs, SPs, and collections are listed, along with a language code for each (1 is English). Rather than having Nightlife, this section shows that I have the Deluxe Edition. Again, this section will probably need to be fixed for people with unsupported collections. But first, we'll have to compare this section with what's in your registry. The final section explains where to find the Documents folder. The AnyGameStarter works by temporarily fooling the game into thinking that the AnyGameStarter folder is your Documents folder. "Common Documents"="C:\\Documents and Settings\\All Users\\Documents"
You can see that I moved my Documents folder to C:\MyDocs. This section is probably OK and will not usually need to be changed. We're done looking at this file for now, so you can close it without saving. Step 6: Now that we've looked at how the AGS intends to restore your full game, it's time to find the correct way to restore your full game. We do this by examining your registry. Be sure that you have a valid system restore point before opening your registry, since even minor changes can stop your system from working. We will want to examine the registry for each of the sections in Sims2_Full.reg, to find any differences. Then, we'll fix the Sims2_Full.reg file so that it has the correct entries. 1) Click Start, then Run. When the Run window comes up, type regedit and then click OK.
4) Locate entries by expanding the "+" to get to the next level or the "-" to collapse it. 5) Now, for each of the sections in Sims2_Full.reg, we need to compare the registry with the file. The simplest way is provide the entire tree, but some people prefer not to share that much information. If you want to use the more complex procedure, which provides only what we need, skip to 6). Otherwise, navigate to HKEY_LOCAL_MACHINE\SOFTWARE\EA GAMES. If you expand that node, you should see a list of all of your games in the left pane. Select the "EA Games" node and choose Export... from the File menu. You will be asked to provide a file name, with a file extension of .REG. zip and attach that entire file here. If you want to see what you will be sharing, you can edit the .REG file as we did in the previous post. Skip to 9). 6) Navigate to HKEY_LOCAL_MACHINE\SOFTWARE\EA GAMES\The Sims 2 in the left pane and look for EPsInstalled in the right pane. If you double click on EPsInstalled, a window will come up with all of your EPs and SPs. You can copy the string by selecting it and then typing <ctrl> C. Then, click on the cancel button to avoid accidentally changing anything. You can paste the string here for us to view. 7) Still looking at HKEY_LOCAL_MACHINE\SOFTWARE\EA GAMES\The Sims 2 in the left pane, look for DisplayName in the right pane. If you double click on DisplayName, a window will come up with the name of your save game folder, usually "The Sims 2". You can copy the string by selecting it and then typing <ctrl> C. Then, click on the cancel button to avoid accidentally changing anything. You can paste the string here for us to view. 8) Move one level up, to HKEY_LOCAL_MACHINE\SOFTWARE\EA GAMES. If you expand that node, you should see a list of all of your games in the left pane. For each game, select it and choose Copy Key Name from the Edit menu. You can paste each string here for us to view. We'll need to see the entire set, to understand how the registry should look when running the full game and to compare them against your Sims2_Full.reg. 9) You can also check the other keys from the final section in Sims2_Full.reg, to see whether they match your current values. If not, be sure to let us know. 10) We're done with the registry, so you can close it now. Unfortunately, you won't be given an option to avoid saving. 11) At this point, you might want to run your full game again, just to make sure that nothing has broken. If there are any problems, restore your system. Make sure to attach all of the information that we've gathered above. You'll also want to attach your Sims2_Full.reg file, so that we can compare the two. This is the space for my explanation about how to fix your full game registry file using the information from your registry. However, for now let's just concentrate on getting the information from the registry, so that we can try to figure out what the problems are. I just learned some additional information about TS2 collections which may have a bearing on whether the AGS will work. there is a string value named "DisplayName", which is usually set to "The Sims 2" for non-collection EPs. However for Double Deluxe, it's not clear where the DisplayName is stored, but it is likely set to "The Sims 2™ Double Deluxe". I haven't checked this with the AGS, since I don't have any collections. However, this value may need to be temporarily changed for the AGS to work correctly. We'll need to know what this value is set to for each of the collections. If the AGS always adds its files to "The Sims 2", then we may need to change the DisplayName temporarily. I've added instructions to the posts above. Since no one has provided information yet, I've included a simplified method to retrieving the necessary information from your registry. Until someone actually provides this information, there is nothing more that I can do. Last edited by Mootilda : 22nd Aug 2011 at 6:24 PM. I have the collections packs (they were cheap) but I don't understand the question? Elephant! Handcuffs! Naughty! Tee hee! Which question? How to help? - First, create a system restore point. If you don't have a system restore point, you may need to re-install all of your games. - Run RegEdit and navigate to HKEY_LOCAL_MACHINE\SOFTWARE\EA GAMES. If you expand that node, you should see a list of all of your games in the left pane. Select the "EA Games" node and choose Export... from the File menu. You will be asked to provide a file name, with a file extension of .REG. zip and attach that entire file here. - Install the AnyGameStarter. DO NOT RUN your AnyGame. However, I would like you to run your full game to ensure that it still works. If it doesn't, restore from your system restore point and let me know. - zip and attach your entire Documents\AnyGameStarter\AppFiles folder. Last edited by Mootilda : 1st Jun 2012 at 1:19 AM. ok I understand! So, I have created a system restore point and exported the registry entries. Please find attached file. Have not downloaded the Any game starter yet. ****Update*** I downloaded and installed it. Then tried to start the game (from the Fun w pets icon on the desktop). But the sims 2 launcher said that I only had Nightlife and Celebration stuff installed. But I don't have celebration stuff. But, Anyways the game would not run. It said, something was wrong so I must re-install. So, I un-installed it /the AGS that is. Last edited by fruitsymphony : 1st Jun 2012 at 6:44 PM. Thanks for the file. That should be helpful. However, I still need to know something about the changes that the AnyGameStarter makes to your registry. Since you've already uninstalled it, we may be able to use your current registry. You might want to remove the attachment now, since you and I are the only ones who need it. Is the Fun w Pets icon your normal Sims 2 game, and not an icon created by the AGS? If so, then please rerun regedit and export the EA Games node again, to a different file name, and zip and attach it here. Then, you should restore from your system restore point so that you'll be able to play your game while I look at the registry entries. Last edited by Mootilda : 1st Jun 2012 at 5:02 PM. Hello, I attached the new file, as per instructions, however perhaps I should mention that I installed the Fun with pets collection before. In case it would be significant, I got messages from the ASG Installer, that it could not determine the proper path to the documents folder, it wanted the path, and then it said I must restart the computer. Last edited by fruitsymphony : 1st Jun 2012 at 11:47 PM. OK, I've got it. You can remove that attachment too. Just to be clear, you never tried to run the AnyGame, just the full game? Which EPs and SPs did you select for your AnyGame? Last edited by Mootilda : 1st Jun 2012 at 10:59 PM. No, I did not start the AnyGameStarter, even though I installed and uninstalled it two times. I also did not check any options, when it listed ep:s and stuff packs etc, when it was installing. OK. The AGS default is to create a base game only mini-game (no maxis content). Those two lines should be identical, since you have never run the AnyGame. However, the AGS has completely changed the set of games that you are running, the only original EP left is Nightlife and the AGS has added Celebration Stuff which you don't have installed. I would have to see the actual AGS source code to understand why it has become so confused. It looks like the correct resolution may be to replace your Sims2_Full.reg with the registry file that you extracted before running the AGS. So, if you'd like to try again, here's what I'd like you to try. 1) First, create a system restore point. If you don't have a system restore point, you may need to re-install all of your games. We need a new copy because you installed Fun with Pets and we don't want to lose that. 2) Run RegEdit and navigate to HKEY_LOCAL_MACHINE\SOFTWARE\EA GAMES. If you expand that node, you should see a list of all of your games in the left pane. Select the "EA Games" node and choose Export... from the File menu. You will be asked to provide a file name, with a file extension of .REG. 3) Install the AnyGameStarter. DO NOT RUN your AnyGame. Take a snapshot of each screen that you get and attach them here. 4) Run Regedit and export the EA GAMES folder again. Provide a new file name, so that it won't conflict with the old one. 5) zip and attach your entire Documents\AnyGameStarter\AppFiles folder, plus the two reg files from steps 2 and 4. 6) Double click on the reg file from step 2. Windows will ask you whether you want to change your registry. Say yes. You should then get a message that your registry has been updated. 7) Run your full game to ensure that it still works. If it doesn't, restore from your system restore point and let me know. Yes, the problem with diffing the reg files was Fun with Pets. I removed Fun with Pets and the only change was the one that I spotted. Here is the command line which will compare the two reg files. Last edited by Mootilda : 2nd Jun 2012 at 12:37 AM. Last edited by fruitsymphony : 3rd Jun 2012 at 1:08 PM. OK, I've got them; you can remove your attachment. Let me see whether I can get your AnyGame working. Sorry to take so long. Busy week. I have made the fixes that I believe that you need. Rename your existing AppFiles folder to AppFilesOriginal and extract this new version of the AppFiles folder into Documents\AnyGameStarter. Try running both your AnyGame and your full game. Let us know what happens. If it works, then the steps to get the AnyGameStarter working with collection packs is pretty straightforward. I'll explain what I did once we know that it works. If anything goes wrong, double click on your eagames1.reg file to reset your registry and you should be fine (plus, you still have that system restore point, right?). Last edited by Mootilda : 7th Jun 2012 at 10:14 PM. I can not do that immediately, :-( because, I have noticed so much noice from my computer recently. I think it was the graphic card. It is not very good. It was probably over heated. I read about this problems in some other thread on the forum. So I could not play, So yesterday I uninstalled the collection packs with all the stuff packs. I bought some expansion packs second hand. and installed them, with the base game, so I can experiment and see if the noise goes away. I will download the files when I get home, I'm at work now. Last edited by fruitsymphony : 8th Jun 2012 at 12:15 AM. If you've uninstalled the collection packs, we'll probably have to start over from scratch. The AnyGameStarter really relies on the specific EPs and SPs that you have installed. However, I think that we've learned a lot about why the AGS doesn't work with collections, so your time and energy haven't been wasted. Last edited by Mootilda : 8th Jun 2012 at 2:20 AM. 1) Create a system restore point, just in case. We'll want this in case things go really wrong. 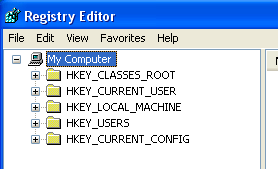 2) Run RegEdit and navigate to HKEY_LOCAL_MACHINE\SOFTWARE\EA GAMES. If you expand that node, you should see a list of all of your games in the left pane. Select the "EA Games" node and choose Export... from the File menu. 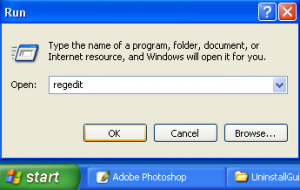 You will be asked to provide a file name, with a file extension of .REG. zip and attach this file. Keep your copy of this file in a safe place. We'll need it soon. 3) Install the AnyGameStarter. DO NOT RUN your AnyGame until I tell you to. 4) zip and attach your entire Documents\AnyGameStarter\AppFiles folder. 5) Double click on the reg file from step 2. Windows will ask you whether you want to change your registry. Say yes. You should then get a message that your registry has been updated. 6) Run your full game to ensure that it still works. If it doesn't, restore from your system restore point and let me know. 7) Let me know which EPs and SPs you included in your AnyGame and I'll try to make a working version of the AnyGameStarter\AppFiles folder. Once you can verify that your AnyGame works, I'll write up some general instructions on how to fix the AppFiles folder. Ok, it's late where I am, so I probably won't have a chance to do this tonight, but I will tomorrow. Anyway, do you want me to install the published AGS on the normal downloads page or the fixed AGS you posted a few posts up? Edit: Well, I could at least get through step 2. here's my EA GAMES node. It wasn't directly under SOFTWARE, however, it was under some node called Wow6432Node, and underneath that node were all the other expected files. I'm assuming it's what you want because it had all my installed EPs and SPs under it. Edit while I'm removing attachment: Yes, I am running Windows 7 64 bit. Last edited by Sims2Playerfan : 8th Jun 2012 at 5:13 AM. Yes, I suppose we'll need instructions for each of the main Windows O/S. Are you running Windows 7 64-bit? You should install the AnyGameStarter from the main download page. I've got your file, so you can remove it if you like. Just be sure to keep a copy for yourself. Yes, that was the correct location. Also, for the sake of research, when I first ran the AGS installer, it gave me an error that Windows (7) was pointing to four different documents folders (I recognize them as the My and Public Documents under Local Disk/:C/Users/(User) as well as the My and Public Documents under the Library shortcut. )It required me to manually select the proper folder (the My Documents under Users) and restart Windows and rerun the program. Edit: Here's the zipped Appfiles folder. Running the "full game" means running the original .exe, right? Last edited by Sims2Playerfan : 8th Jun 2012 at 5:39 AM. Funny. fruitsymphony had the same problem. I've never seen that error before. I wonder whether the collection packs are setting the Documents folder to something odd? OK, I've got that one too. Yes, running the full game means running your normal game. Just ignore the AnyGame until I get your AppFiles sorted out. Was fruitsymphony running Win7? The reason is likely that Windows 7 creates two Documents folders, one called "My Documents" and the other called "Public Documents" but it merges them together in the Library shortcut and just calls them "Documents" (which is also the reason it creates two EA Games folders in Documents only one seems to be empty, if you know anything about that, one is actually located in the public documents) Thus, I believe by referencing just "Documents" the AGS got both My and Public Documents but was only looking for one folder. Just my speculation on that.